1. The two columns file format import/update Stock Quantity list. You should use CSV file (comma separated values). 2. FAQ (Import Stock Quantities). 1. I want to import/update Stock Quantities in my store. You should use Product Id as key. 2. I want to import/update Stock Quantities from another store. You should use Sku, Gtin or ManufacturerPartNumber as key. 3. FAQ (Export Stock Quantities). 1. 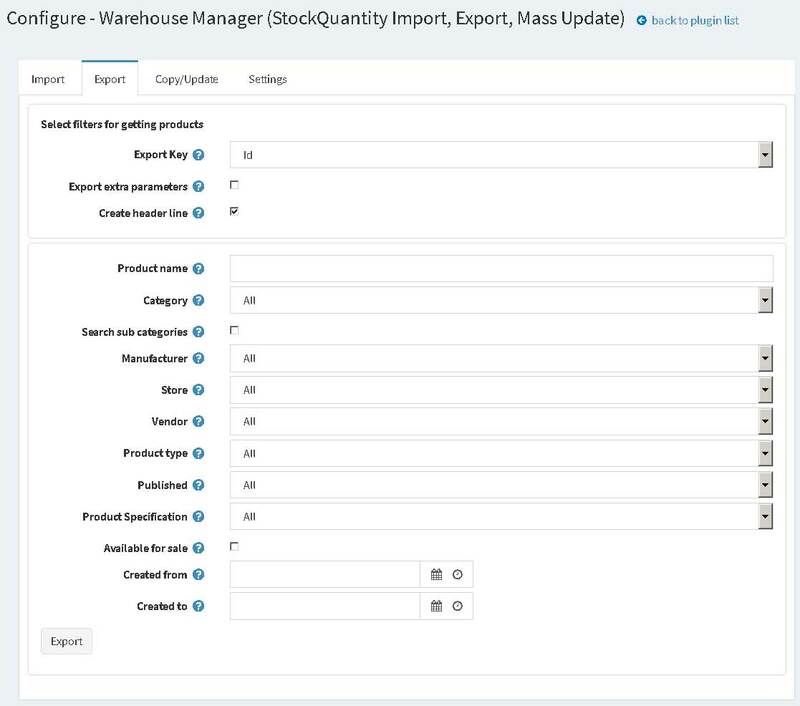 I want to export Stock Quantities from the category Computers and subcategories with Sku as a key. See image. You will have a csv file. Read about fortmat of this file link. 4. FAQ (Update Stock Quantities). 1. 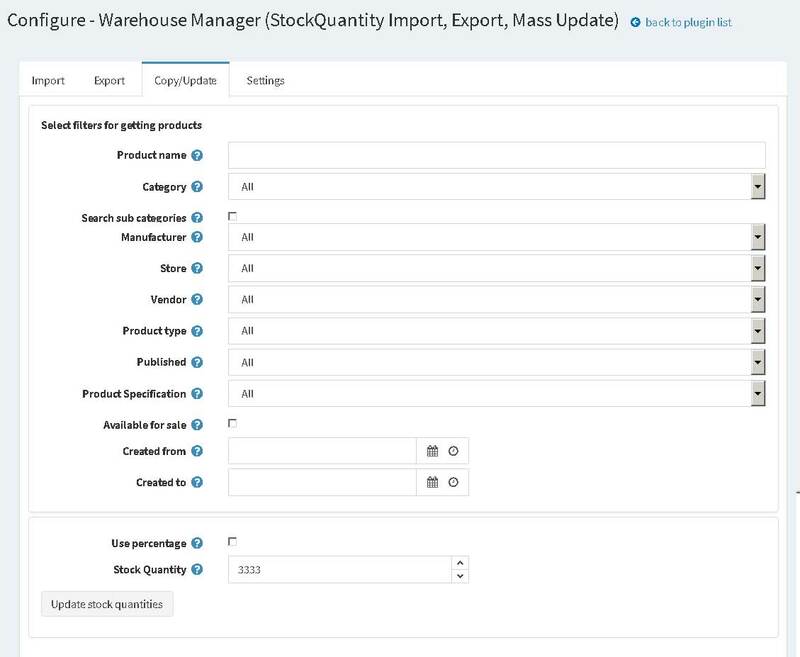 I want to update Stock Quantities value for all products from the category Computers and subcategories with new value 5555.